With the worst month of the year out of the way, why not set yourself a target at one of our races. Half Marathon, 10k or 5k. 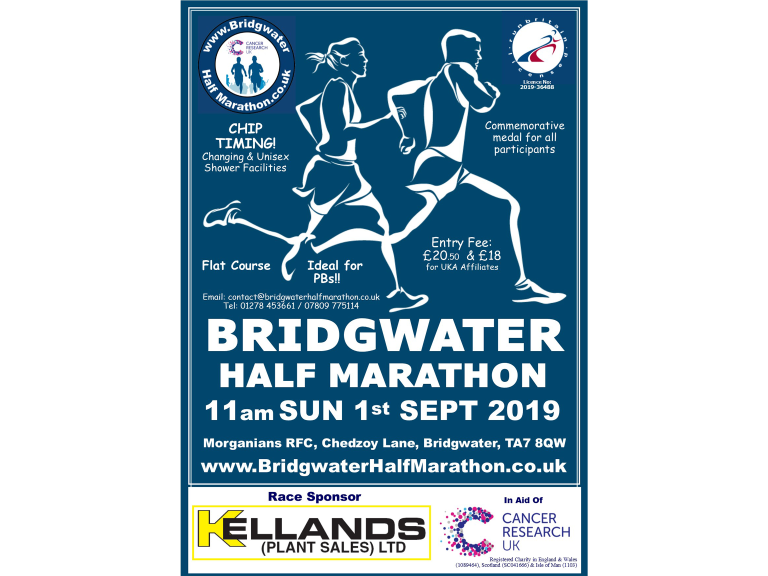 The route for the Bridgwater Half Marathon is the same as previous years. We have provided a map below. For a more in larger version, just click on the map. Safety will be key and on everyone’s minds for this run, both competitors and motorists alike. warning traffic of runners and these will be placed throughout the course. Drinking water stations with cups will be sited throughtout the course. All roads are open to traffic. Motorists are asked to be co-operative and patient as any delays will be of a relatively short duration. ends at the Morganians Rugby Football Club. There are two ways you can enter the Bridgwater Half Marathon. or you can download a copy of the Application Form from the website.